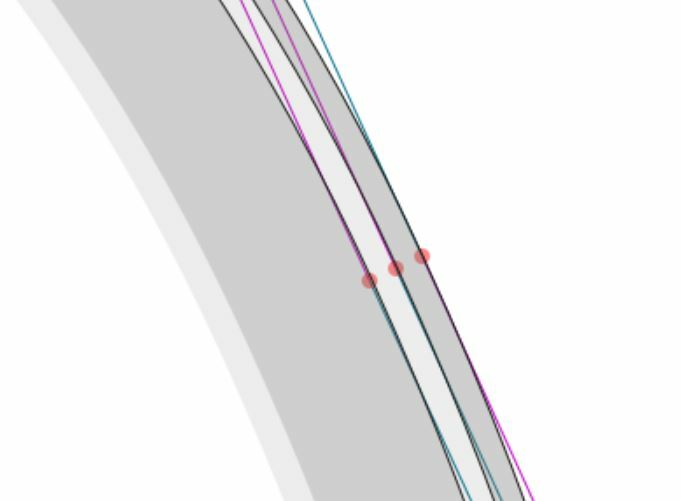 When I import an svg from inkscape into fontforge, the path is inverted. Why is this? I am running windows 10, with inkscape 0.91. 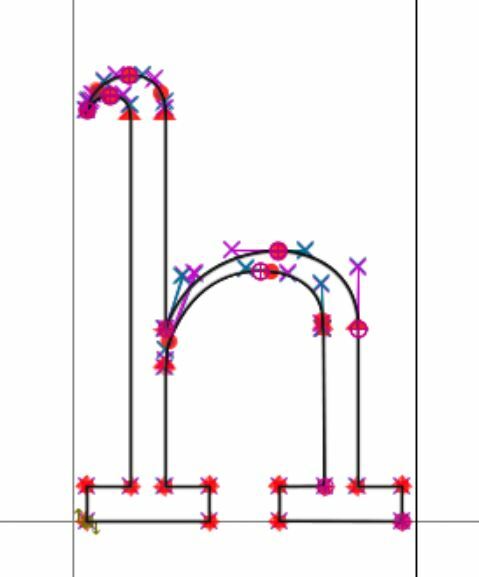 When I try to import a glyph outline, fontforge imports it, but does so with 3 separate paths, and when viewed in the metrics window, it seems the path itself is inverted. Why is fontforge splitting 1 path into 3, and how can I prevent it from doing that? It looks like you have a stroke set on your letter form. 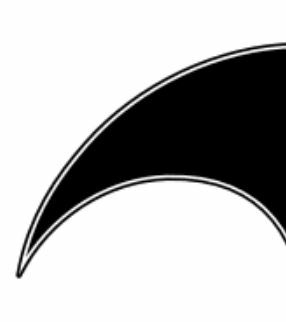 In Inkscape just remove the stroke before you save the SVG. 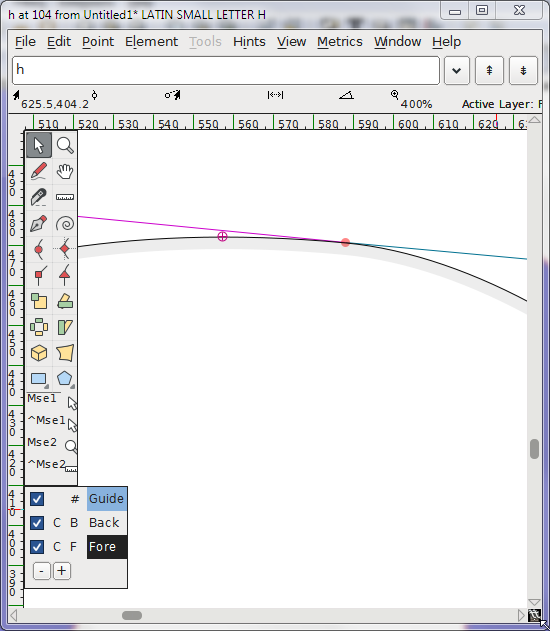 Example 1: importing an SVG into FontForge with stroke and fill set in Inkscape. The result is three paths. Example 2: importing an SVG into FontForge with only fill applied, and no stroke in Inkscape. The result is a single path. This looks familiar, if are are importing the objects from inkscape. 0.48 into pre-2015 builds of fontforge this happens. You should try to be very clear on the platform you are using eg.windows, mac or Linux distribution you are guaranteed a more defined solution. As a workaround in your case I would export the entire glyph set as png, convert it as an index png in whatever image editing tool you're using , load that png into a tool called glyphtracer, that will then output the image as a sfd you can open in fontforge for tweaking. Not the answer you're looking for? 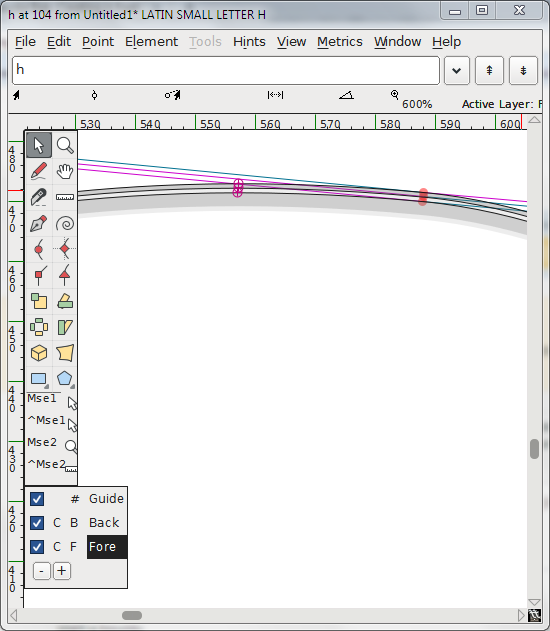 Browse other questions tagged inkscape path font-forge or ask your own question.